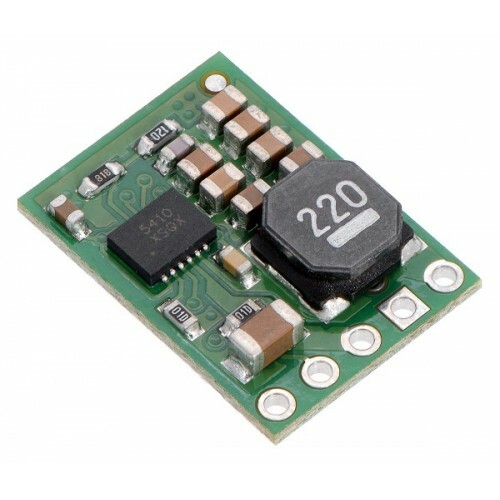 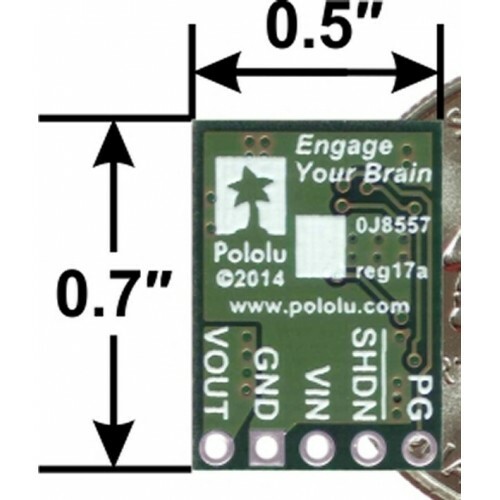 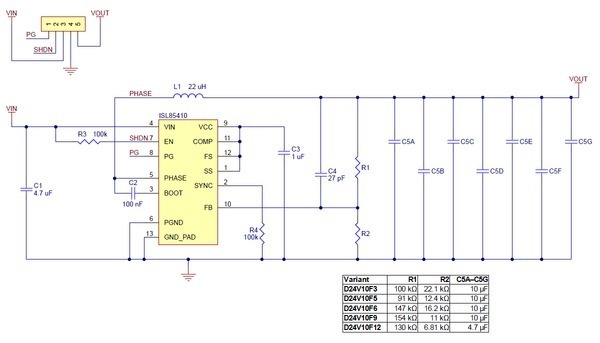 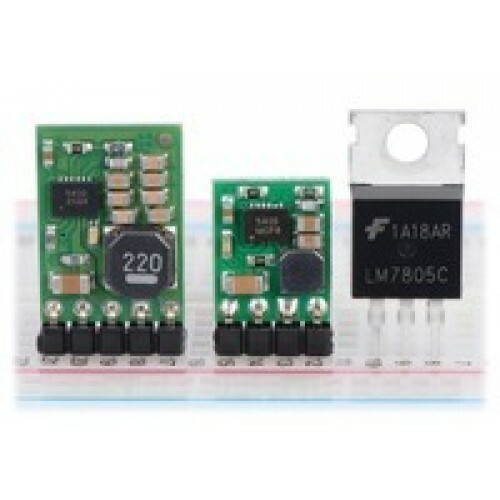 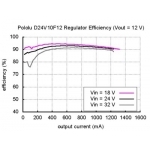 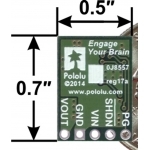 The compact (0.5″ × 0.7″) D24V10F12 synchronous step-down (or buck) voltage regulator takes an input voltage of up to 36 V and efficiently reduces it to 12 V while allowing for a maximum output current of 1A. 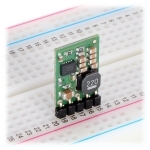 This regulator offers typical efficiencies between 85% and 93% and has a very low dropout, so it can be used with input voltages as low as a few hundred millivolts above 12 V. The pins have a 0.1″ spacing, making this board compatible with standard solderless breadboards and perfboards. 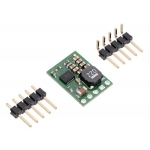 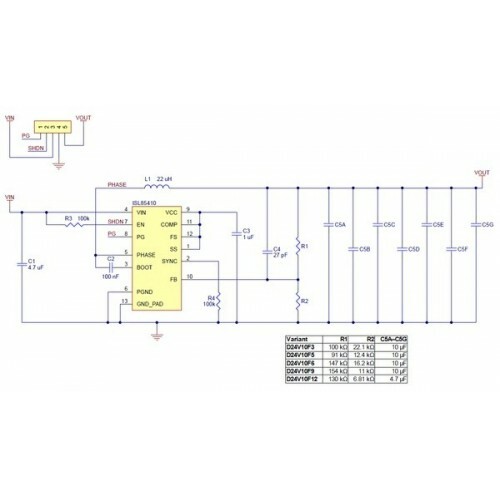 Features the Intersil ISL85410 1A synchronous step-down regulator and generates lower output voltages from input voltages as high as 36 V. It is a switching regulator (also called switched-mode power supplies (SMPS) or DC-to-DC converters) with typical efficiencies between 80% and 93%, which is much more efficient than linear voltage regulators, especially when the difference between the input and output voltage is large. 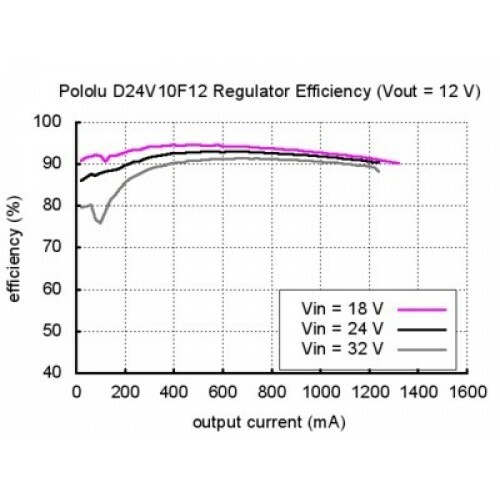 Thi regulators have a power-save mode that activates at light loads and a low quiescent (no load) current draw, which make it well suited for applications that are run from a battery. The D24V10F12 regulator feature short-circuit/over-current protection, and thermal shutdown helps prevent damage from overheating. Does NOT have reverse-voltage protection. 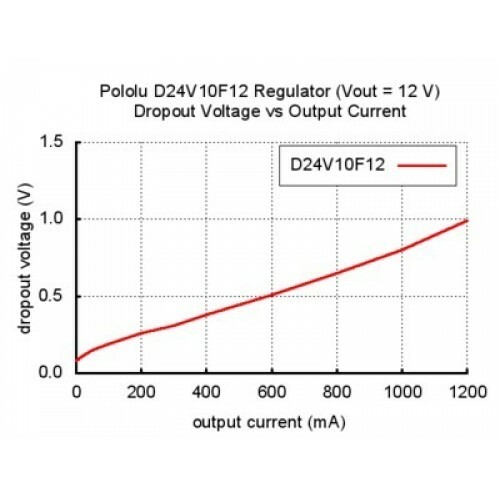 When connecting voltage to electronic circuits, the initial rush of current can cause voltage spikes that are much higher than the input voltage. 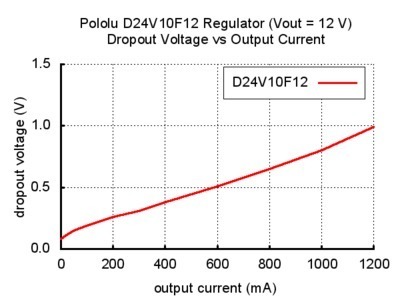 If these spikes exceed the regulator’s maximum voltage (36 V), the regulator can be destroyed. 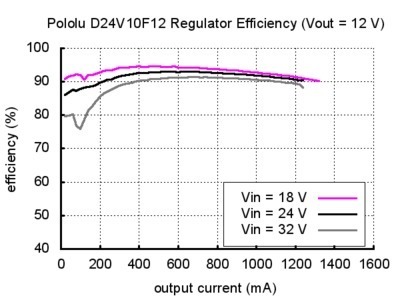 In tests with typical power leads (~30″ test clips), input voltages above 20 V caused spikes over 36 V.